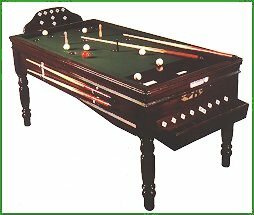 The similarity of Bar Billiards with Bagatelle, the pub game that was most popular for at least a century after 1770 is so evident that it seems highly likely that Bar Billiards is a derivative of Bagatelle via some lineage but that lineage is, at present, unknown. For more information on this earlier game, please visit the separate page on the history of Bagatelle. Beyond that assumed and mysterious connection, it isn't known how Bar Billiards originated but in the early 1930s an Englishman called David Gill observed a game called Russian Billiards (Billiard Russe) being played in Belgium. A Russian link is therefore a possibility but it seems more likely that the game was named so as to sound slightly exotic to the ears of West Europeans at the time (in the same way as for Chinese Checkers and Polish Draughts). Gill convinced the English manufacturer Jelkes (no longer trading) to make a version of the game which he called Bar Billiards. Pubs seemed keen to buy tables and other manufacturers soon got in on the act, notably Sams Brothers (later Sams Atlas who were bought by Greys of Cambridge who then went out of business). The first pub league was created in Oxford in 1936 and shortly afterwards leagues sprang up in Reading, Canterbury and High Wycombe. Before the war, there was apparently an organisation called the National Bar Billiards Association. The now-defunct Canterbury league team won the NBBA challenge cup beating a team from Oxford just before the war. After the war a governing body was formed called the All-England Bar Billiards Association appeared although the relationship with the NBBA is not clear. The AEBBA now supervises the game across 18 counties, mainly in the South of England. However, the old cup was somehow retained in Canterbury and proceeded to be played for as the 'Canterbury Team Challenge Cup for the next 50 years from 1947. The game emerged in Jersey 1933 and their game was administered by the Jersey Licence Victuallers League. This body has worked closely with the AEBBA, despite variations in their respective games and the British open, the largest competition in the Bar Billiards calendar continues to be played in Jersey each year. 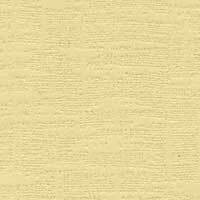 There are a number of variations in table sizes and rules. The Jersey tables were apparently based on those from the manufacturer Burroughs & Watts and are slightly bigger (Riley bought out Burrows & Watts to form Riley-Burwat at a later date). In Jersey, all shots must be played from the same spot whereas in England, they can be played from anywhere within the small D at the foot of the table. Skittles come shaped like mushrooms or as small thin posts with metal crosspieces (both designed so that the skittles cannot fall into a cup). The author is also aware that many tables feature 4 skittles instead of 3. Since both the Jersey and All-England Bar Billiards Association rules stipulate that one black and 2 white skittles be used, it's not clear where this variation came from nor which leagues play with it. Perhaps it's only played in individual pubs and bars. Whoever designed the game cleverly ensured it was more economical on space in pubs and clubs than ordinary billiards and pool tables because players strike from one end of the table so there is no need to walk around the table at all. The game itself is unusual since play is limited by time, a single coin giving from between 10 and 20 minutes of play according to preference (or the avarice of the landlord). 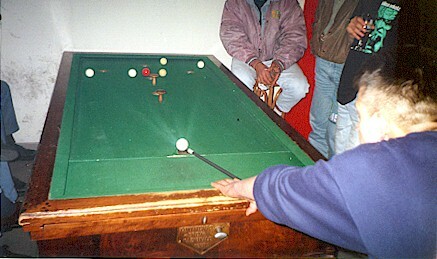 During the playing period, players attempt to accumulate points by striking the balls, 7 of which are white and one of which is red, up the table so that they fall down the holes at the other end. There are 9 holes in all scoring from 10 to 200 points depending upon the difficulty and potted balls run back to the front of the table in hidden channels so that they can be used again. The game is deceptively difficult due, in part, to the additional 3 skittles that are placed near the high scoring holes. If either of the two white skittles are knocked over, the break finishes and any points made during it are lost. Worse, if the black skittle is toppled, the guilty player's entire score is reset to zero, a drastic event, indeed. Bar Billiards is still popular in the South of England but has unfortunately lost a lot of its popularity due to the emergence of American 8 ball Pool. This family of games has a cousin which is played in Italy and possibly other European countries. Another contributor, Stecher Josef, sent in some information about a table which features four holes and two skittles; more similar to the Bar Billiards game above from Belgium. Apparently the table, has been in his family since at least the 1930s so it seems to be a good possibility that the game is older than the English game. Shown below are two pictures of the Italian table by kind permission of Stecher Josef. The 5 hole game pictured above is from Italy and is clearly related to Bar Billiards. It may be no coincidence, then, that Italy is the place where Pin Billiards appears to have originated. Given the Italian penchant for putting skittles on billiard tables, could it be that someone in Italy decided on day to come up with a new game based on Bagatelle but using skittles? And perhaps this game or another version of it was the pastime discovered by David Gill in Belgium. It's a possiblity - clearly there is a lot more research to be done. If you have any information or pictures on Bagatelle, Bar Billiards or Pin Billiards, that you can send, the author would be most grateful. The rules for Bar Billiards vary by pub and location. However, the most common set of Bar Billiards rules based on those dictated by the All-England Bar Billiards Association can be obtained for free from Masters Games. A description of the game is also included. Masters Games also sells Bar Billiards games. A variety of competitions exist at the local and county level including inter-league and county opens. Sussex is a particular hotbed of activity - see Sussex Bar Billiards from Steve Mariner for further details. A county championship competition exists which is played in September each year. Usual competitors are - Sussex, Cambridgeshire, Kent, Oxfordshire, Buckinghamshire, Northamptonshire, Berkshire, Surrey and Hampshire. At the national level, there are a variety of "All England" competitions and opens for singles, pairs, men, women, under 22s and over 50s. The Channel Islands also have their own set of competitions at a somewhat smaller scale. Internationally, the game is not exactly global in its scope, although it's known to be played in Ireland and the USA. There are however, primarily two countries/territories with association bodies - the Channel Islands and England. The biggest Bar Billiards competition is held in Jersey each year - the British Isles open. Teams from Jersey and England compete for the annually awarded trophy - home advantage usually being the deciding factor. City Bar Billiards League (Medway Area) (This is based around Rochester, Kent, submitted by Garry Speller, May 2000). The Glass House Stores, Brewer Street, Soho, London. The U.K. Leisure Club, Sittingbourne (submitted Garry Speller, May 2000). The Antelope inn, 3 The High Street, Upavon, Pewsey, Wiltshire. SN9 6EA Tel: 01980 630206 (submitted Aug 2000, Julian Bassett).